George Papadopoulos, the one-time foreign policy adviser to Donald Trump who became swept up in the special counsel investigation, says members of the Trump campaign team were “fully aware” and in many cases supportive of his efforts to broker a summit with Russian President Vladimir Putin. Papadopoulos’s comments were his first in public since being sentenced Friday to 14 days incarceration, one year of supervised release, 200 hours of community service and a $9,500 fine. He pleaded guilty in October to making false statements to FBI agents about his interactions with a Russian national and a Maltese professor believed to be an operative for the Russian government. 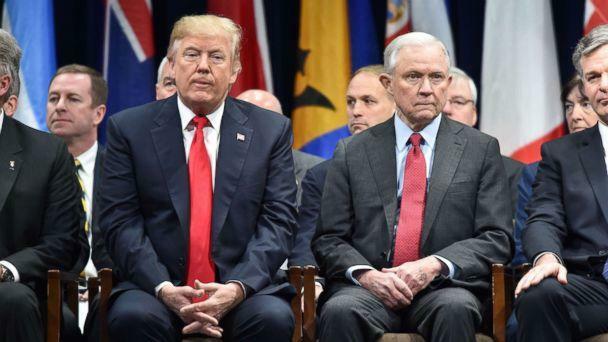 He said that during the campaign he floated the idea of a summit between then-candidate Trump and Putin at a campaign security team meeting on March 31, 2016.Among those who seemed to like the concept, he said, was then-Sen. Jeff Sessions, who he says appeared enthusiastic about a Trump-Putin summit, in contrast to what Sessions later told Congress. Stephanopoulos noted that Sessions later gave Congress an apparently different account, saying that he shut down the idea of a Trump-Putin summit at that campaign meeting. “I pushed back,” Sessions told Congress. The “attorney general says he pushed back,” Stephanopoulos said to Papadopoulos. “Is he telling the truth?”Papadopoulos said, “All I can say is this is a meeting from about two years ago. My recollection differs from Jeff Sessions. 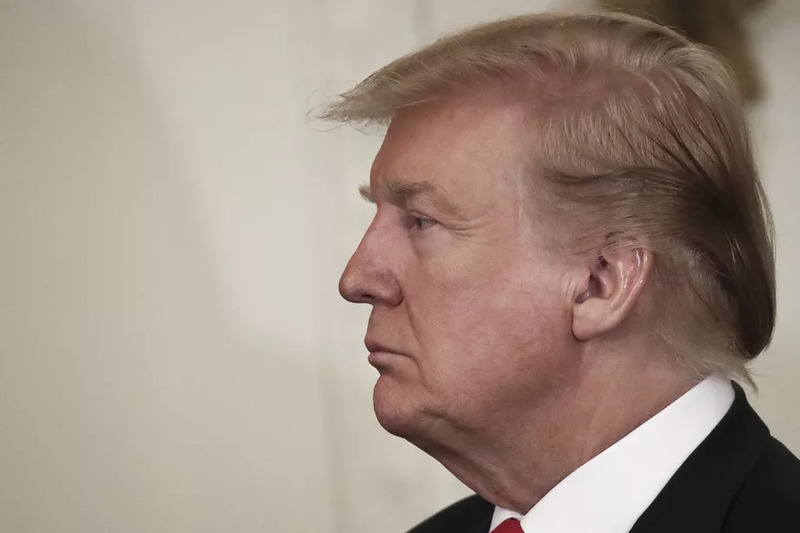 He also said that there were mixed reactions to the summit idea among Trump’s advisers at that March 2016 meeting, but that many in the campaign were aware of his efforts, including Corey Lewandowski, the then-campaign manager, Sam Clovis, a senior aide, and Trump himself. Papadopoulos was the first Trump campaign adviser arrested as part of special counsel Robert Mueller’s investigation into Russian meddling and possible collusion in the 2016 campaign. While Papadopoulos still must surrender himself and serve the two-week prison stint, he says he is already looking beyond that sentence, to a life after his brief and tumultuous foray into electoral politics. He said he was swept up by the campaign, finding himself “at a young age, hanging with the big guys.” He developed “unbridled loyalty to Trump,” Breen said. 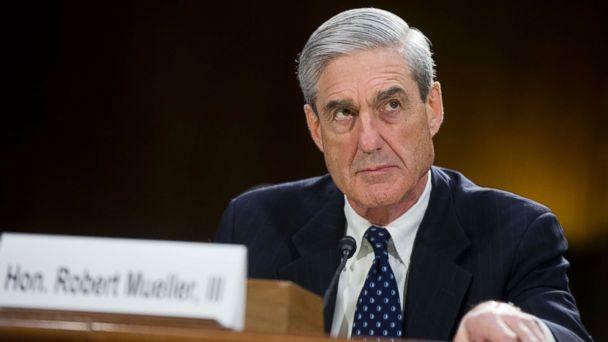 Court records show he was first approached in Italy by a professor whom the FBI believes was working on behalf of the Russians. That led to contacts between Papadopoulos and the Russian foreign ministry. In April 2016, the professor told him the Russians had thousands of Hillary Clinton’s emails, court records say. Papadopoulos is believed to be the first Trump campaign adviser told of hacked emails tied to Clinton – information shared in April 2016, well before any pilfered material was published. “The early date of this contact is significant: Even the Clinton campaign was not yet aware that Russia possessed their stolen emails,” Democrats on the House Intelligence Committee wrote in a status report about their investigation. Papadopoulos described in court the day in January 2017 when FBI agents knocked on the door of his Chicago home while he showered, and asked him to come into their offices for an interview. It was in that interview he now says he tried to “create separation” between himself and the professor and his Russian contacts. His fear – he would be swept into a brewing scandal about Russian contacts and miss out on a job in the Trump administration. Speaking for the special counsel’s office, Andrew Goldstein said during Friday’s sentencing hearing that Papadopoulos “chose to lie again and again to advance his personal interests.” His lies were “purposeful, calculated and caused harm to the investigation,” he said. He made “at best begrudging efforts to cooperate,” the prosecutor argued. 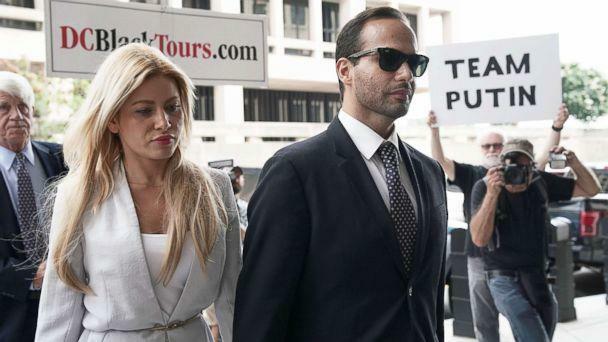 After the judge issued the sentence, Papadopoulos stepped away from the defense table and paused in a long embrace with his wife, Simona Mangiante Papadopoulos. A lawyer by training, she had become his public spokeswoman during the long months between his arrest and his sentencing. 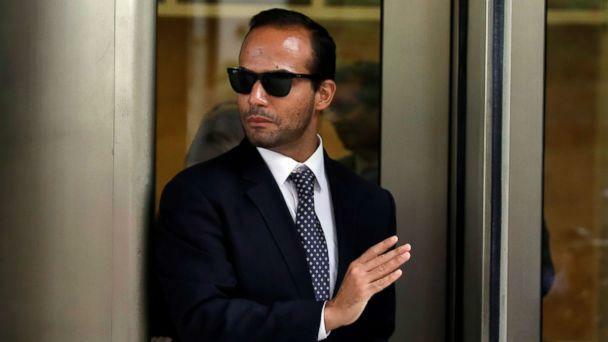 While Papadopoulos is planning a move to California to begin his new life supporting his wife’s fledgling acting career, he may not be entirely finished with the investigations that led him to prison. Sen. Mark Warner of Virginia, the ranking Democrat on the Intelligence Committee conducting its own investigation into Russian meddling in the 2016 campaign, said Friday he believes Papadopoulos could be called to testify.